A DAD brutally murdered his adopted toddler daughter after calling her "Satan dressed up in a baby grow", a jury heard. 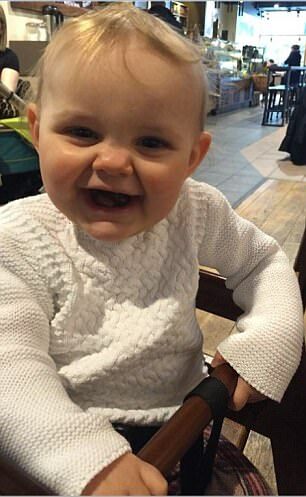 Matthew Scully-Hicks, 31, was allegedly heard yelling "shut up you little f***ing brat" in the months before 18-month-old Elsie died of a brain haemorrhage. The part-time fitness instructor and his husband had been caring for Elsie for eight months and had formally adopted her just two weeks before she suffered fatal head injuries, a court was told. Scully-Hicks had suggested to friends he was "struggling to cope", it was said. In one text message he said Elsie was "having a proper diva strop about it all, which is annoying", and in another he said she had "another diva strop at teatime". He also wrote: "I'm going through hell with Elsie! Mealtimes and bedtimes are like my worst nightmare at the minute. "She's been up there screaming for ten minutes non-stop. She's just stopped but I doubt that's the last I'll hear tonight." Asked by a friend how his day had been, he replied: "Yo yo well on the whole it was ok.. Minus lunch and tea time when she turned into Satan. Then again at bedtime she screamed in her cot for ten minutes." Weeks after she went to live with the couple, Scully-Hicks is said to have messaged his husband Craig and described Elsie as "Satan dressed up in a baby grow!!!". Neighbours also described hearing Elsie crying and Scully-Hicks shouting "shut up, shut up, shut the f*** up", the court heard. On one occasion he allegedly shouted at the child: "Shut up you little f***ing brat", and: "Shut up you silly little c***". Jurors heard the couple married in Portugal in August 2012 and applied to adopt later that year. The defendant gave up work to be a full-time dad, while his husband continued his job as a company director. Elsie, who was removed from her drug user mum within days of her birth, went to live with the Scully-Hickses aged ten months in September 2015. The couple formally adopted her on May 12 last year. 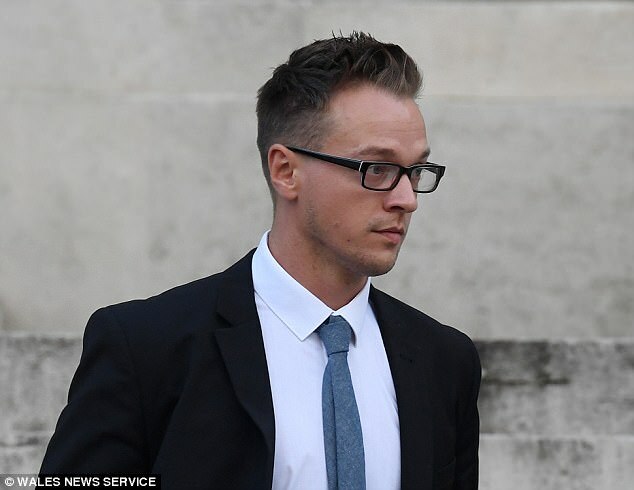 Prosecutor Paul Lewis QC said: "Within two weeks of Elsie's formal adoption by the couple, we allege that the defendant had inflicted fatal injuries upon her." On May 25 Scully-Hicks called 999 reporting Elsie was unresponsive, and he could be heard saying "Oh my God" and "this is horrible", the court heard. She died in hospital four days later. Tests showed the tot had suffered bleeding on both sides of her brain and there was evidence of recent and older brain haemorrhages, jurors were told. Elsie had also suffered several broken ribs, a fractured left femur and a fractured skull days before her death, it was said. A consultant paediatrician believed Elsie had also suffered a blunt trauma to the head, he added. The prosecutor said: "We allege that his attack on her on that day was not the first time that he had employed violence towards Elsie, nor was it the first time that he had caused her serious injury. "We allege that his actions were the tragic culmination of a course of violent conduct on his part towards a defenceless child - an infant that he should have loved and protected - but whom he instead assaulted, abused and ultimately murdered." Scully-Hicks, from Delabole, Cornwall, denies murdering Elsie at the couple's home in Llandaff, Cardiff. The defendant may suggest it was Elsie's adoptive sibling who caused the injuries, the jury heard. His QC Robert O'Sullivan said Elsie may have had insufficient vitamin D levels, making her bones more susceptible to fractures. He told the jury: "You will hear witness after witness speak of Mr Scully-Hicks' palpable love and devotion to both of his children and of the deep and loving bond that he had developed with Elsie." The trial, expected to last for five weeks, continues at Cardiff crown court.